There’s more to ministry than Sunday worship. Growing, thriving churches tend to be those that support their worship with vital ministries of education, recreation and youth activities. 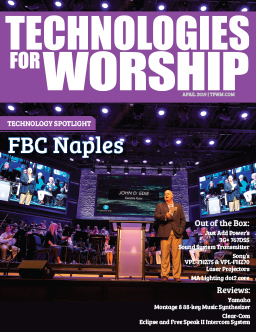 So again it comes as no surprise that Southeast (reportedly America’s fastest growing church) has given a high priority to providing best in audio technology to serve these programs as well. From the outset, Southeast’s leadership stressed the key importance of audio/video systems in the overall vision for the new church. Accordingly, the highly regarded consulting firm of Michael Garrison Associates (MGA) was contracted to work directly with church staff on design and installation of all audio, video and production lighting systems. MGA took full charge of the main worship center requirements, with the Education Wing and Youth and Activities Center (YAC) systems subcontracted to Don Wesner of Audio Analysts in Georgetown, Kentucky. Wesner first tackled the audio system for Southeast’s 165,000 square foot Education Wing, located adjacent to the Worship Center on the expansive 100-acre church campus. The basic needs here were simple enough: high speech intelligibility and high fidelity music reproduction in every room, plus built-in flexibility to accommodate a wide variety of classes and activities. Speaker selection proved a key element in ensuring the best sound quality. Thanks to the impressive scope of the project, Wesner and MGA were able to enlist the cooperation of several speaker manufacturers in setting up blind comparison tests. Speakers in different categories were available for audition on each occasion, with key ministry staff persons on hand to express their preferences. A total of 109 JBL Control 26CT ceiling speakers were eventually installed in the classrooms and corridors, with wall-mounted Control 28 and Marquis MS28 speakers selected as the main speakers for the 250-capacity pre-school and elementary assembly rooms. Because the assembly rooms are quite long (about 80 feet), satellite speakers were installed to fill in sound at the rear, with the signal delayed in reference to the main front speakers for maximum intelligibility throughout the room. For bass reinforcement (essential for today’s children’s music) the preschool room utilizes ceiling mounted Control 19CS subwoofers, while the elementary room recycles a Toa floor subwoofer brought over from the old facility. Once again, MGA and Wesner relied on the Allen & Heath digital units for most mixing and processing chores throughout the building. The two aerobics rooms have their own music sources courtesy of local Denon tape/CD players, but most other rooms receive a music feed from the central control room. 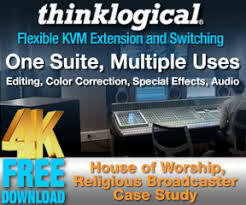 The original source is usually a contemporary Christian or gospel program taken off the church’s Muzak satellite system, which was installed for both convenience and to take care of all music copyright issues. The primary challenge in the Youth Auditorium was creating a state-of-the-art, concert quality system using a combination of old and new components. Budget restrictions didn’t allow for an all-new system, but the Senior High Ministry had inherited a veteran system composed mainly of EAW KEF 600 speakers and Ashly Audio amplifiers. The existing system would not be sufficiently powerful for the larger new room, so auditions were held to evaluate additional new speakers. The final choice was JBL’s Venue Series 3215 cabinets. reportedly favored because of mid-high projection that provided exceptional vocal clarity and intimacy. Three of the cabinets handle lead vocals and non-musical speaking from a mono console feed, while the existing EAW system receives a stereo instrumental feed. Following some painstaking adjustments by MGA staff, the system is now playing to a enthusiastic packed house of 1100 high schoolers every Sunday. Each year Southeast Christian sponsors a leadership conference which draws ministers and lay leaders from throughout the country. 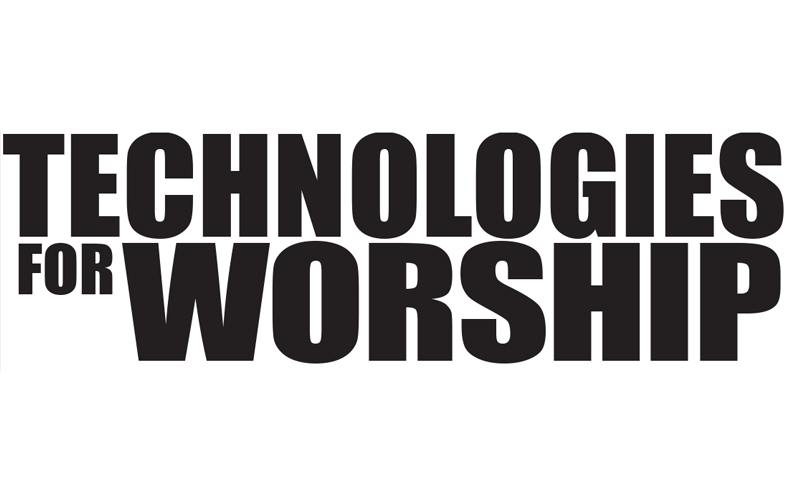 This year, with the new facility now fully operational, these leaders will witness a number of ways audio technology can empower important ministries outside of worship; seven days a week, all year long.